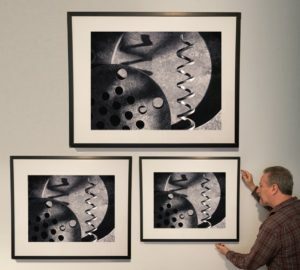 Howard Lewis has a long history and skill at printing both archival pigment prints and gelatin silver prints. 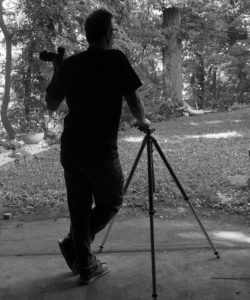 Today he produces his photographs in both analog and digital formats. For the creation of traditional archivally-processed silver gelatin Lewis supervises the best master printers in the New York working with available papers and selenium toning to produce his photographs to his exacting standards. Images, unless otherwise indicated, are by the artist on Hahnemuhle Fine-Art Baryta paper unless otherwise indicated. All 17 x 22 images are printed by the artist. Images larger than 17 x 22 are printed under the direct supervision of the artist. Note: While the artist does allow production of archival digital prints from original film negatives, due to either loss of quality when making a negative or a limited choice in printing paper when going from a digital format directly to a silver gelatin print, the artist does not currently create gelatin silver prints from his original digitally captured images. All prints are archival limited-edition prints, signed by the artist and numbered on verso. Archival pigment prints: Three (3) sizes from each image in these series are available for acquisition as archival pigment prints. Gelatin Silver prints: One (1) size from each negative in these series is available for acquisition as silver gelatin prints. 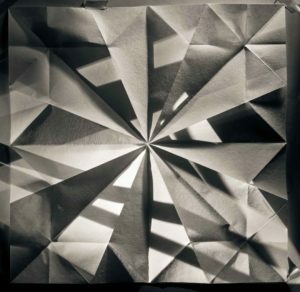 *Exception – Although Origami Folds was originally created with large format 8×10 film, Lewis prefers to print these images in pigment prints due to the intricate complexity and artistic objectives. Below you will find print sizes and related edition information reflecting 2018 prices. Note: Actual image is printed smaller than paper size with a one-inch border on the longest side. The other side will vary in dimensions according to the image proportions. 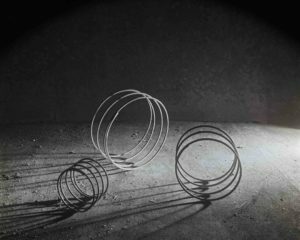 SCULPTURE – Sculpture is available for exhibition and we welcome inquiries for site specific installations.